“We have a good chance of getting into the play-offs and once you get there, you never know. I want us all to focus on that and I don’t want to get into public arguments. I am here for the long run. This football club belongs to all of us. I still want to be the first chairman in the history of this club to play in the League and I remain committed for years to come. • At no stage have players been at risk of playing any matches without medical insurance. They have always been covered. Pension contributions have been met by the club and any shortfall addressed in the past few months. • All players contracted to 30th June will be paid to 30th June. There was never any intention and nor is there any intention to refuse those payments, contrary to what was claimed in the inaccurate document that was distributed at the recent home game v Wrexham. • Last summer, following the play-off semi-final, the club made substantial payments to players as recompense for the inconvenience of the late wages up to that point. • International money transfers from Kuwait are held up in the UK for strict compliance checks. It doesn’t happen every month, hence some payments have been made on time or take just a day or two to clear in some months – other months they are significantly delayed. That situation has been communicated to players and staff by the previous management and by Dave Archer over the past two years. Of course we regret that and the effect it has had on players and staff and the club is striving to minimise and eliminate the problem. • Funding was previously always sent on 10-15th of each month. The loss a few years ago when the club was defrauded of £150,000 (details could not be produced for legal reasons) changed the allocation of funding from Kuwait and it now usually gets sent on the 22nd/23rd, out of the control of Dr Abdulla. • Dave Archer sees evidence of the transfer on the day it is made and it is always made on that day without fail. But the club has to wait for the funds to be cleared and released once they reach the UK. There is not and never has been any doubt that the wages will be paid in full every month – albeit regretfully late in cases as previously acknowledged. 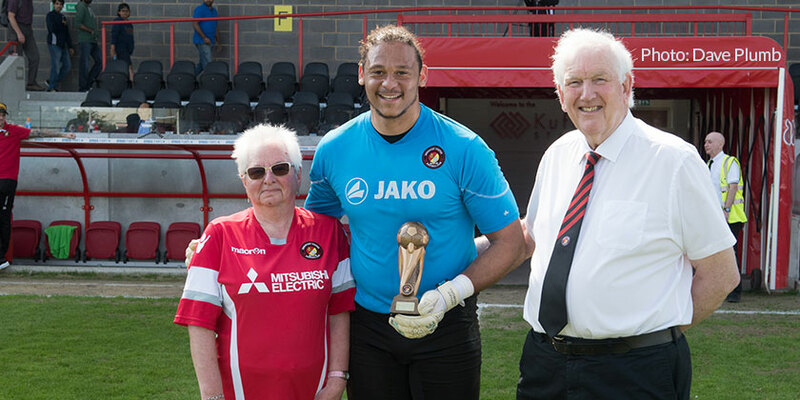 • Dave Archer informed the attendees that Dr Abdulla has paid every penny of the agreed playing and operational budget including salaries for 2018/19 into the club. • The past few seasons have resulted in a significant budget overspend, something which was no longer sustainable and had to be addressed this season under new management. • The restructure was actioned in October/November as the return of 18th place on the highest budget in the league was not a sign of progress and it was decided a change of management needed to be made. • The restructure is ongoing and Dave Archer will combine that with a renewed drive for sponsorship and commercial deals in the summer. Settlements are still being paid to ex-staff and when these have concluded, it will allow the club to move forward. • Dr Abdulla stated that the proposed hotel build at the Plough End was not feasible on closer examination. The £8m build cost was not sustainable against any likely income that would be generated. • Ideally all four stands will still be redeveloped but they must generate revenue – and with a design and building process that is more cost-effective. There is no point in building a stand that exceeds the requirements of the football club. Any new structure will be built ‘cleverer’ – if the club can secure ‘pre-lets’ on units/spaces within a new stand, the Swanscombe End could be considered before the other two sides. • The safety certificate of the old Main Stand is renewed annually. The club has met the minor clauses stipulated and the structural surveys have passed the stand as safe every year. • Splitting segregation at the Swanscombe End requires additional turnstiles to separate home/away fans. There are more pressing issues for the club in the short-term but the requirement is noted. • The club has not been ejected from K Sports and indeed trained at the facility last Friday. Dave Archer, who has a long-standing and close working relationship with CEO Alan Dennington, is in daily contact with him about repayments of the amounts owed and the club will train as usual to the end of the season thanks to the agreement of Alan and K Sports. • Dr Abdulla has agreed a playing budget with Garry Hill should the club remain in the National League going into 2019/20 and it is one that the Fleet manager believes is competitive for the division. 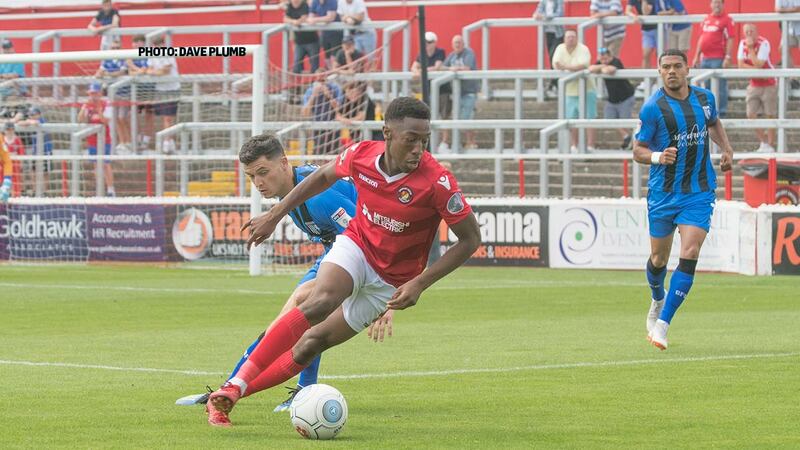 • Dave Archer says that despite recent media coverage, he knows from experience of talking to players and agents that Ebbsfleet United is still a big draw in attracting players at this level. He is confident that Garry Hill will not struggle to sign his transfer targets in the close season. • Dave has what he calls a ‘2/2 Vision’ – to double the club’s turnover to £2m and raise the average gate from 1,500 to 2,000. He made the point that by gaining promotion into League Two, clubs’ funding from the EFL almost doubles turnover in one fell swoop. It gives you that ‘2/2 Vision’ without lifting a finger. 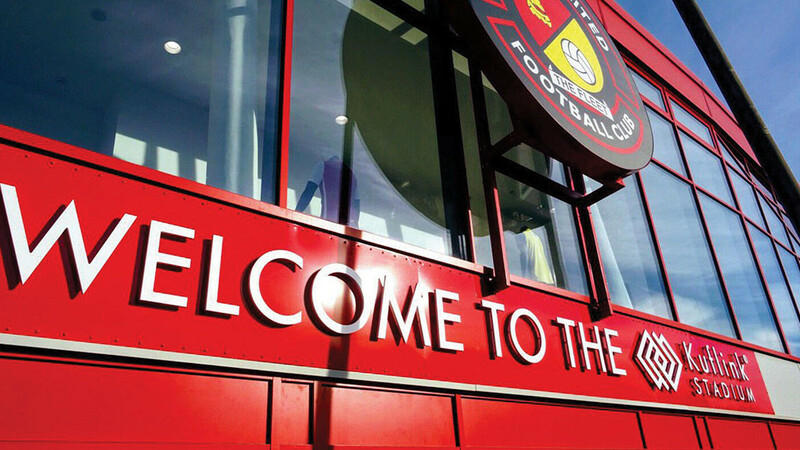 League Two visiting crowds would swell attendances to 2,000 and he believes the achievement of that – together with the continued generous funding of the owner – would be a platform for sustaining us a solid League Two side.